In the New Testament, the Second Epistle of Paul to Timothy, usually referred to simply as Second Timothy and often written 2 Timothy or II Timothy, is one of the three Pastoral Epistles traditionally attributed to Saint Paul. The three epistles are called "pastoral" because they relate to the conduct of church leaders, thought of as pastors (literally shepherds). It is traditionally considered to be the last epistle he wrote before his death. It is addressed to Timothy, a fellow missionary. The Epistle advocates endurance as the main quality for a preacher of the gospel. As a good soldier for Jesus Christ, he is to be pure, noble, and ready to take his share of suffering. In Paul's farewell, he describes himself as at the end of his career and awaiting the crown of righteousness. There has been much diversity of sentiment on the question when this Epistle was written. That it was written at Rome, and when the apostle was imprisoned there, is the unanimous opinion of all who have written on the Epistle, and indeed is apparent on the face of it; see 2 Timothy 1:8, 2 Timothy 1:16; 2 Timothy 4:6. But whether it was written during his first imprisonment there, or during a second imprisonment, is a question, on which critics even now are by no means agreed. If the supposition of a second imprisonment at Rome, during which this Epistle was written, is correct, then it was written probably not far from the year AD 65. Lardner, however, who supposes it was written during the first imprisonment, places its date in May, AD 61; Hug, also, in the same year. 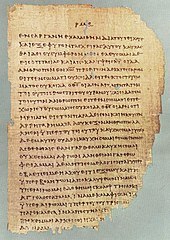 Some modern critical scholars argue that 2 Timothy was not written by Paul but by an anonymous follower, after Paul's death in the first century AD. The language and ideas of this epistle are notably different from the other two Pastoral letters yet similar to the later Pauline letters, especially the ones he wrote in captivity. This has led some scholars to conclude that the author of 2 Timothy is a different person from 1 Timothy and Titus. Raymond E. Brown proposed that this letter was written by a follower of Paul who had knowledge of Paul's last days. Jerome Murphy-O'Connor, however, argued that this epistle was written by Paul and that the other two pastoral epistles were written by someone else using this epistle as a model, and that it is the only still-extant letter written by Paul after Romans. According to the letter, Paul urges Timothy not to have a "spirit of timidity" and not to "be ashamed to testify about our Lord" (1:7–8). He also entreats Timothy to come to him before winter, and to bring Mark with him (cf. Philippians 2:22). He was anticipating that "the time of his departure was at hand" (4:6), and he exhorts his "son Timothy" to all diligence and steadfastness in the face of false teachings, with advice about combating them with reference to the teachings of the past, and to patience under persecution (1:6–15), and to a faithful discharge of all the duties of his office (4:1–5), with all the solemnity of one who was about to appear before the Judge of the quick and the dead. Paul clearly anticipates his being put to death and realities beyond in his valedictory found in 2 Timothy 4:6–8: "For I am now ready to be offered, and the time of my departure is at hand. I have fought a good fight, I have finished my course, I have kept the faith: Henceforth there is laid up for me a crown of righteousness, which the Lord, the righteous judge, shall give me at that day: and not to me only, but unto all them also that love his appearing." For a discussion of 2 Timothy 3:16–17 on Biblical inspiration, see Biblical inspiration § Basis. Portions of 2 Timothy parallel the Epistle to the Philippians, also believed to be written (with Timothy's help) near the time of Paul's death. Based on the traditional view that 2 Timothy was Paul's final epistle, chapter 4 mentions (v. 10) about how Demas, formerly considered a "fellow worker", had deserted him for Thessalonica, "having loved this present world". 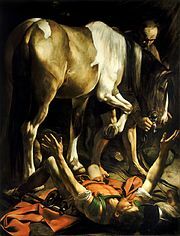 In sharp contrast to his dispute with Barnabas over Mark (Acts 15:37–40), which resulted in the two parting ways, Paul now considered Mark to be "profitable to the ministry" (v. 11). The chapter also features the only Biblical mention of Linus (v. 21), who in Roman Catholic tradition is listed as Peter's immediate successor as Bishop of Rome. ^ a b c d e f May, Herbert G.; Metzger, Bruce M. (1977), The New Oxford Annotated Bible with the Apocrypha, pp. 1440, 1446–49 . ^ a b c d e Harris, Stephen L. (1985), "The Pastoral Epistles", Understanding the Bible, Palo Alto: Mayfield, pp. 340–45 . ^ Johnson, Luke Timothy (2001). The First and Second Letters to Timothy. Yale University Press. ISBN 0-300-13988-8. ^ Johnson, Luke Timothy (2008), The First and Second Letters to Timothy: A New Translation with Introduction and Commentary, Anchor Yale Bible, 35A, New Haven; London: Yale University Press, pp. 58–59 . ^ Richards, E. Randolph (2004), Paul and First-Century Letter Writing: Secretaries, Composition and Collection, Downers Grove, IL; Leicester, England: InterVarsity Press; Apollos . ^ Barnes. "2 Timothy 1". Notes. Bible hub. Retrieved 2016-10-10. ^ Just, Felix, "New Testament Letter Structure", Catholic Resources . ^ Collins, Raymond F. (2004), 1 & 2 Timothy and Titus: A Commentary, Westminster John Knox Press, p. 4, ISBN 0-664-22247-1, By the end of the twentieth century New Testament scholarship was virtually unanimous in affirming that the Pastoral Epistles were written some time after Paul's death. …As always some scholars dissent from the consensus view. ^ Brown, Raymond E. (1997), An Introduction to the New Testament, New York: Doubleday, pp. 672–75 . ^ a b Jerome Murphy-O'Connor, Paul: A Critical Life, Oxford: Clarendon Press, 1996, pp. 356–59. ^ Reiher, Jim (July 2012), "Could Philippians have been written from the Second Roman Imprisonment? ", Evangelical Quarterly, LXXXIV (3): 213–33 : sums the other theories, offers examples of different scholars who adhere to different theories, but presents a different option for consideration.